Virtual Qantas Airways is in NO way affiliated with the real Qantas Airlines, Qantas Airlines Partners, or Qantas Airlines Affiliates. The Real Qantas Airlines can be found by clicking on the images below. We are keen fans of Australia's own real world real life airline counterpart Qantas and have set our goal to emulate them in a virtual sense within the Flightsim Community. We do not represent Qantas legally in any way shape or form though, nor are we funded by them in any way. We do this as we think - in fact no, we know - that Qantas is the best airline in the world and our members, being keen flight simmers themselves think it just makes sense to fly Qantas Aircraft. 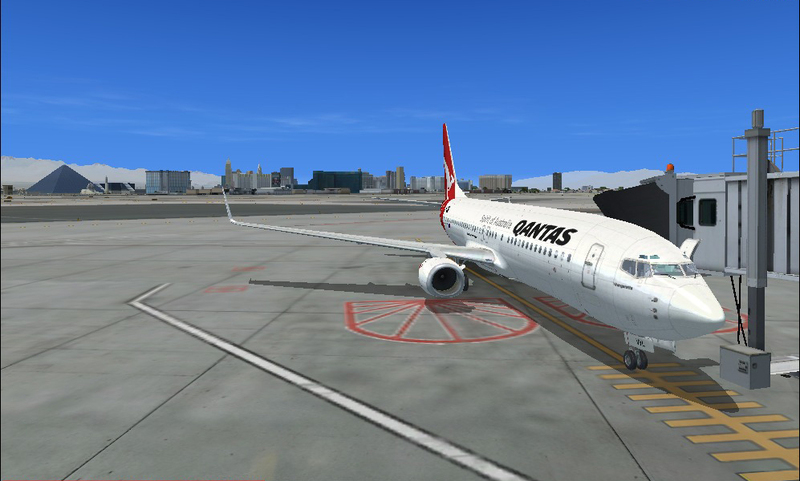 Fly Qantas aircraft on Qantas routes within your flight sim gaming software and enjoy The Spirit Of Australia. Virtual Qantas utilises all Qantas International and Domestic flights, Australian Air Express freighters, Qantaslink Australian Regional, Jetstar (including Jetstar, Jetstar Asia and Valuair), Jetconnect New Zealand services, historic Qantas flights including those from Australian Airlines, Australia Asia, Impulse, TAA, and other Australian aircraft and their routes and many others. Enjoy flying all current, past and future Qantas aircraft types at Virtual Qantas. Feel free if you want to (although there is no obligation), to join us here at Virtual Qantas and enjoy flying the most professional "virtual airline" we can bring, as we present Qantas routes for you to fly in you flight simulation software, to and from, and indeed, all around the great island nation of Australia and beyond. Fly as a single user on a mission, a Freeflight with a friend or join one of the large community of Virtual Airlines that we host. Our online environment provides a unique opportunity for you to fly as you wish, literally, anywhere, anytime, with real world weather. The opportunity is yours for the taking and we hope you enjoy being part of the SkySimFlight "freedom to fly" community. Click image to visit our site.